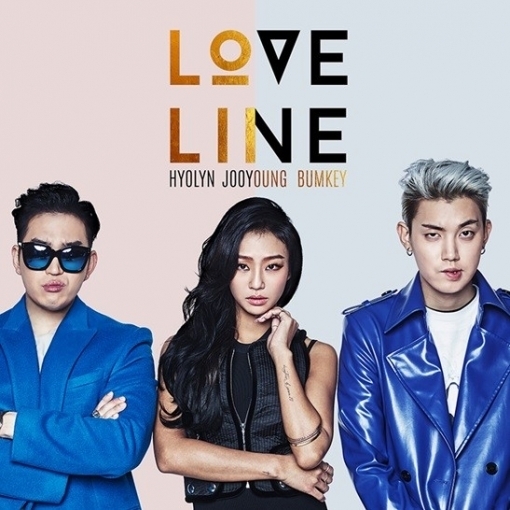 Hyorin, Bumkey and Jooyoung have come together for 'Love Line' MV. Produced by Da Internz, 'Love Line' is an R&B track with groovy and classy melody, describing the feelings of love between lovers through phone lines. Director Im Suk Jin, who previously directed Nell's 'Star Shell' and Secret's Song Ji Eun's 'Don't Look At Me Like That' MVs, is the creator behind 'Love Line' MV.